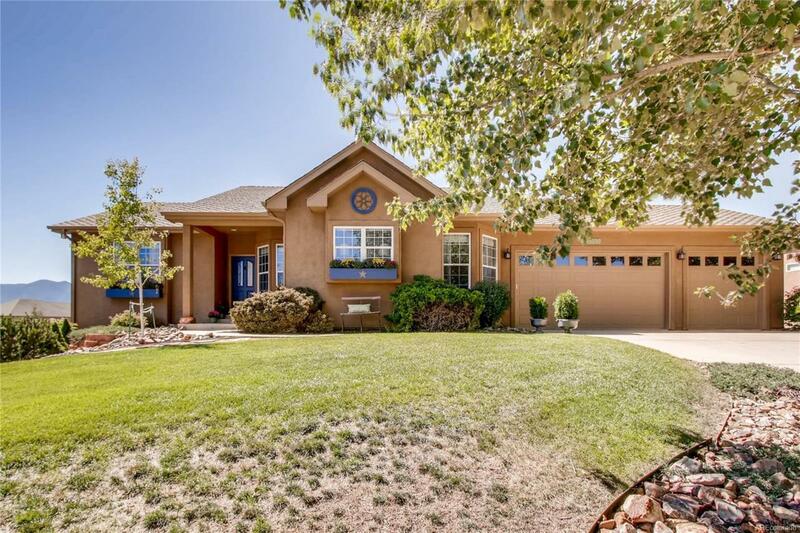 This Gleneagle home on a cul-de-sac has amazing views of the front range! Beautiful laminate wood floors through main level, gorgeous accents and charm, incredible chandeliers and updates! The kitchen has updated white cabinets, granite counters, S/S appliances, subway backsplash and custom lighting! The huge family room with fireplace and two French doors to massive deck gives you a view of the entire front range! Enjoy the AFA graduation from home! Private master bedroom retreat with five piece on suite and view! Offered by Flying Horse Realty Llc.